voting for the best design runs October 16 through November 1. October 30. The winner gets a special prize! Wednesday, October 5, 6:30 p.m.
Tuesday, October 11, 5:00 – 6:30 p.m.
Haymarket Gainesville Library Birthday Celebration on Saturday, October 15! Limit 15 families, registration required by calling 703-792-8700. Saturday, October 15, 11:00 a.m. – 4:00 p.m.
on the lawn, and refreshments. Saturday, October 22, 11:00 a.m. – 3:00 p.m.
the silent auction. Your support funds the library’s many free events. Sunday, October 23, 1:00 p.m.
some (slightly) frightening! Drop in; no registration. 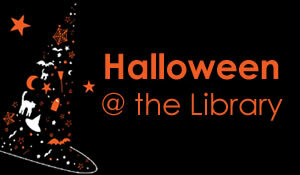 Monday, October 31, 10:30 a.m.
October 31, 10:30 a.m. or at 2:00 p.m.
in costume for Halloween stories, songs, and a parade through the library. decked out for the holiday! No registration necessary.